Canlubang Golf Course, one of the largest golf courses in the Philippines, was once a former plantation of the sugar cane industry. The construction of the golf course has taken the heart of most golfers because of its simplicity and scale. The length of its fairways is summarized into two courses, the North Course and the South Course. Aside from its wide range, another great reason to play golf in the area is its challenging courses and knowledgeable caddies. The North Course of the golf club is known as the gentleman’s game because of its difficult and manly course. Its 9th and 18th unique holes became signature to its golfers. Its fairways have scenic views of man-made lakes and ravines. Another challenge from the gentleman’s game is the strong wind that adds to the thrilling course. The South Course is certainly not any easier than the North, but it was designed very differently. It is considered as a feminine course not because it is easy, but because it is very challenging to gauge and predict! This is one course every player must bring their A-game to. The wider than usual ravines and spectacularly laid out holes make it necessary for full force swings every time. In addition, it has magnificent views from natural sites like Laguna de Bay and Sierra Madre. Reds, and Blues. Both of the golf courses provide knowledgeable caddies who can assist golfers regarding their game queries. Other great services from the two courses are Bars, Tee houses, and restaurants. 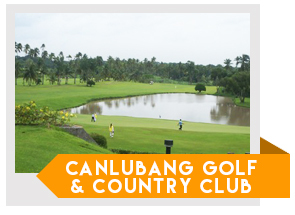 Canlubang Golf Course is a perfect place to play golf and at the same time to relax. 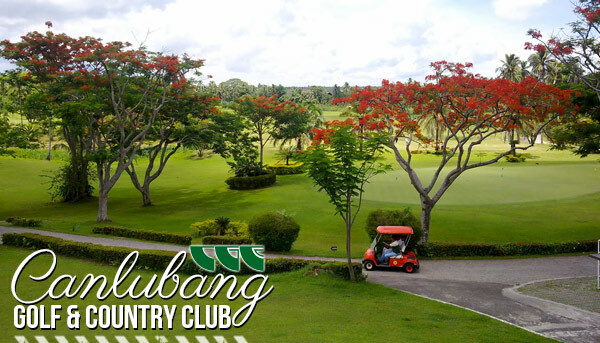 Tip for Tourists: You can still play at Canlubang Golf and Country Club by booking directly with GolfPackages. Fill out the form to your right and get your free quote today.